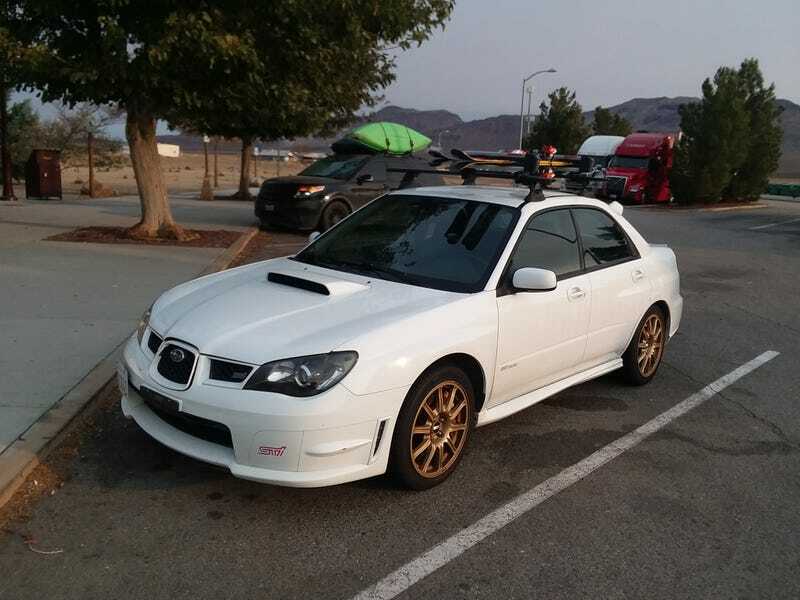 I just got my roof rack on yesterday, a pretty simple and straight forward install. This weekend I’m testing it out on a trip to Mammoth. There’s not much snow and all of it is man made, but at least what is here is pretty good. A nice workout to warmup for ski season at least! The rack isn’t too noisy on the car on the highway but it definitely did cut my gas mileage. I calculated about 20mpg versus my typical 23-24 on the same route with a naked roof. I’m gonna see if a wind fairing would help any since my main concern at that point is range. At 24mpg, I can go right around 310-320 miles before the fuel light comes on whereas at 20 I only made it to 260. While yeah I have a solid two gallons left at the light, I don’t like to push it much beyond that. It’s WAY more convenient than removing the back seat and cramming the interior full of everything though, so I don’t mind the gas cost at least. It’s a small 4 ski rack so I actually have room to fit more stuff on there too. I could do a narrow box, a bike, or just mount my ski travel case directly. Gives me good ideas for my longer road trip coming up. Now the mountain just needs some snow to start falling! Hopefully when I come back in December, I’ll get some real snow to play in. For the rest of this weekend I’m thinking about heading over to Yosemite and doing some hiking, so I’ll keep it interesting either way!